1.2 How to Get Free Rs 100 Pay Balance ? Amazon Assistant Offer : To Make Better Decisions Install Extension in Your Firefox , Chrome or Opera. As a Promotional , Get Rs.100 Cashback on Rs.499+ Shopping when you Install Amazon Assistant App First Time & Make Purchase Using Below Steps. Amazon Provides Cashback in their Pay Balance Wallet by Which you Can Make Recharges & Use it on Shopping at Amazon only. You Can Also use for Booking Cabs , pay bills , Dth Recharge by Haptik App Because It accept Amazon pay Balance as payment Method. 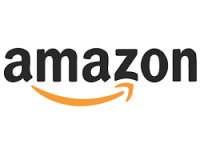 Amazon Assistant is Offering Pay Balance on Installing the App and Shop via Above Rs 499, This is Valid for Limited time only, So if you are going to make Purchase on Amazon , Then Simply install Browser Add on & Get Extra Rs.100 Cashback With other Offers & Coupons. 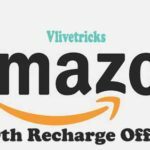 Let’s Come & How to grab Free Rs.100 Amazon Cashback. Update :- Offer Validity is Increased from 18th Jan to 27th Jan 2019 But if you Previously Availed this Cashback then it will Not work. 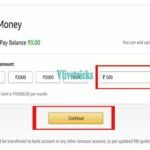 How to Get Free Rs 100 Pay Balance ? 1. First of All , Visit Amazon Assistant Installation Page. 2. Scroll Down & Select Your Browser from Chrome , Firefox, Opera , Quick , Sogou , Safe. 3. Click on Install Now Button. 4. Add it to Your Browser. 5. Now Register or Login in your account. 6. Click on Amazon Assistant icon in Browser & Change Country to India. 7. Click the Shop now card in Amazon Assistant interface to start purchase. Valid once Per User / Account. IT helps you make Better Decisions Where you Shop Online. You will get Best Deals , Order Updates & Much More in real time. Product Comparisons , Universal Wish list & get Browser Notifications of Watched Deals & Much More. 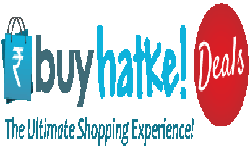 This App Supports Only Amazon but If you wants to Cover More Sites then Try Buyhatke Assistant App where you will get Deals across Internet.